The Teachers Registration Board of South Australia (the Board) is committed to ensuring that the teaching profession is comprised of competent educators and fit and proper persons to have the care of children. Pursuant to Part 6 of the Teachers Registration and Standards Act 2004, Section 30(1) the Teachers Registration Board may, on application by a person who is not a registered teacher, in its discretion, grant the applicant a special authority to teach for a period and subject to conditions specified by the Board. 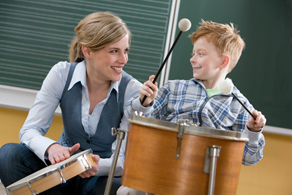 If you want to apply for a Special Authority to Teach please contact the Board on (08) 8253 9710.